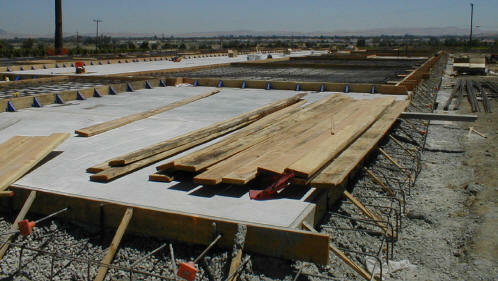 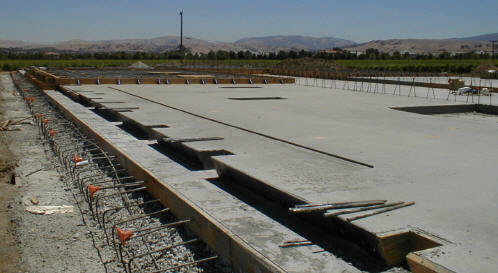 This building is a "Tilt Up"
The walls are poured on top of the floor slab. 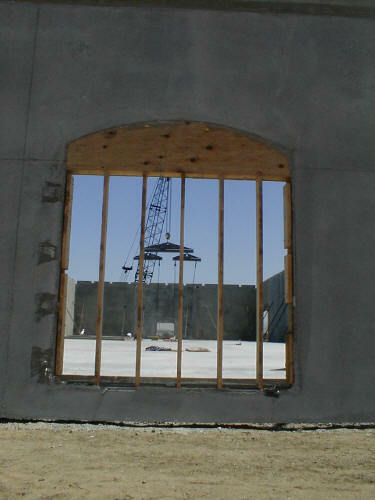 Forms are put down for the exact shape of the walls, including door and window cutouts. 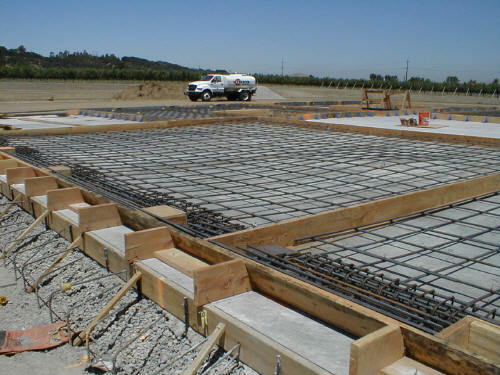 Rebar is added, and the walls are then poured as the floor slab was. 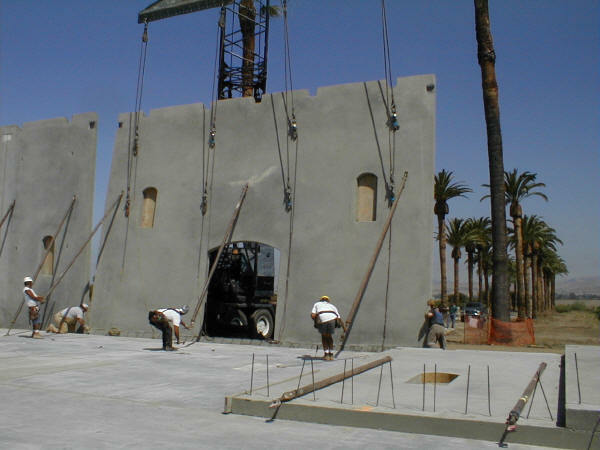 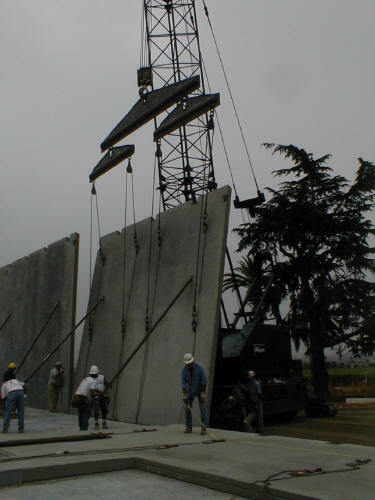 Because of the size of the walls vs the floor size, a second set of walls was poured on top of the first set. 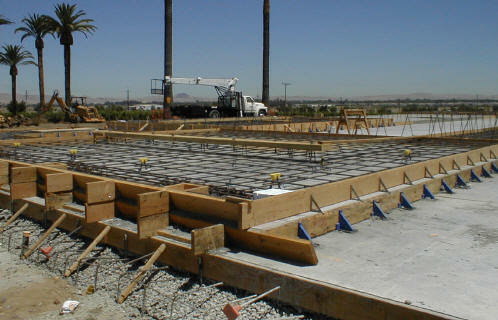 and the rebar and forms in place for additional walls. 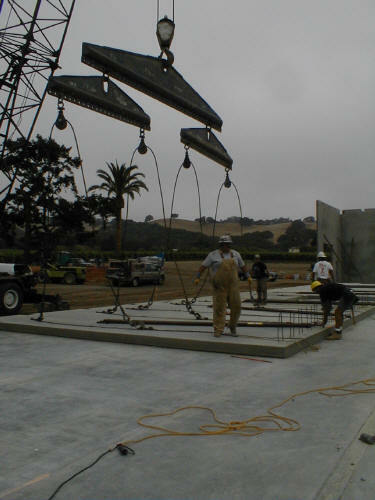 Cranes left the walls, and position them.